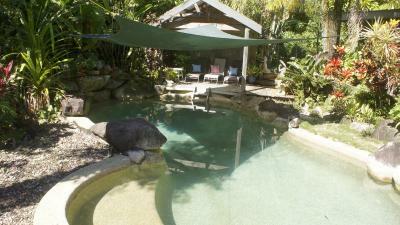 Lock in a great price for The Chantra Mission Beach B&B – rated 9.3 by recent guests! Owners are both beautiful people and very helpful with info on restaurants and activities available (even offered to drive us to a restuaurant when they couldn't get them on the phone to confirm we could get a table). 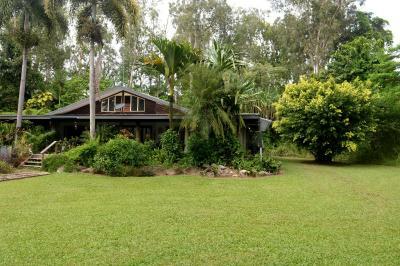 The property is immaculately looked after with a fantastic lush green backdrop. Breakfast was yum with plenty of options. The rooms have a private entry and little courtyard however the owners were more than happy for you to wander through the house. Bed was very comfortable. Breakfast was good, but could have been better. The hosts were very warm and let us wash our clothes for no charge. Very very nice people like family! Very warm welcome, nice cozy room, outside bathroom and brilliant breakfast. The host was so lovely and nice. The host was lovely, the room was very nice, and the shower was very good. The bed was one of the most comfortable we have slept in on our 3 month adventure. Netflix in the room which is great, air con worked very well. Breakfast was amazing and we were lucky enough to be joined by a Cassowary!!!! Chrysta was a wonderful host. 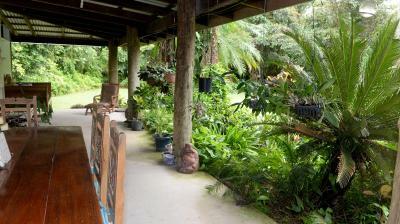 The place is a true peaceful getaway and we even got to see a Cassowary right in the backyard. Absolutely beautiful place to stay - we loved our time there. We saw a wallaby with babies and cassowaries just in the garden twice! 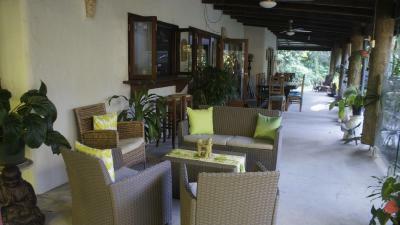 The rooms were comfortable, the pool was great and the breakfast was amazing. And most importantly Chrystal was lovely and really helpful. We’d been travelling for 3 weeks up the coast and it was the best place we stayed; we were there for 3 nights but if we’d had any flexibility we’d have stayed for even longer. 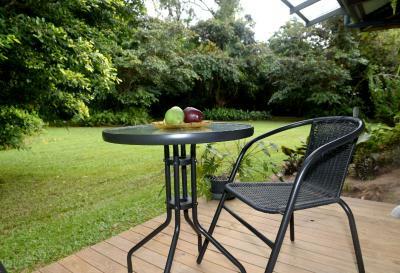 Located in Mission Beach in the Queensland region, The Chantra Mission Beach B&B has a patio and garden views. The property, housed in a building dating from 1999, provides free WiFi. 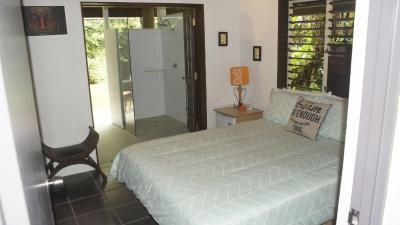 This air-conditioned bed and breakfast has a bathroom with a shower and free toiletries. A flat-screen TV with cable channels is available. 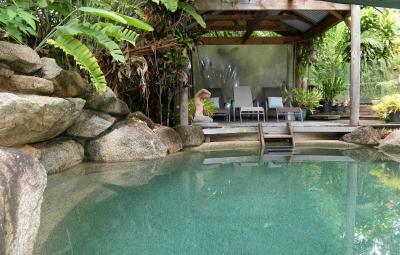 The Chantra Mission Beach B&B has an outdoor pool. The accommodation has a grill. 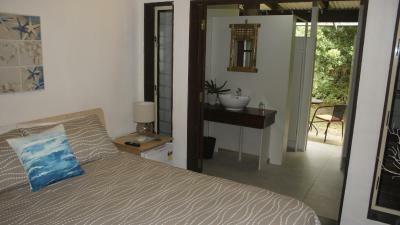 When would you like to stay at The Chantra Mission Beach B&B? 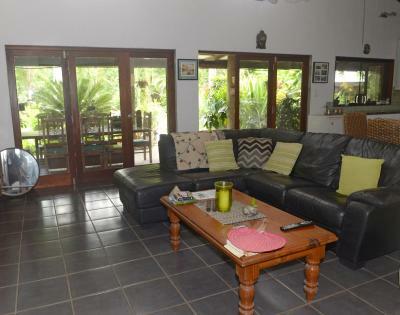 House Rules The Chantra Mission Beach B&B takes special requests – add in the next step! 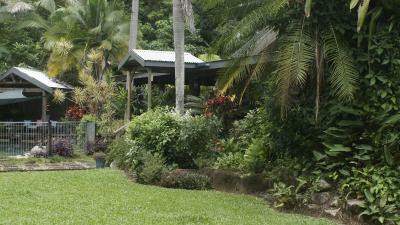 The Chantra Mission Beach B&amp;B accepts these cards and reserves the right to temporarily hold an amount prior to arrival. 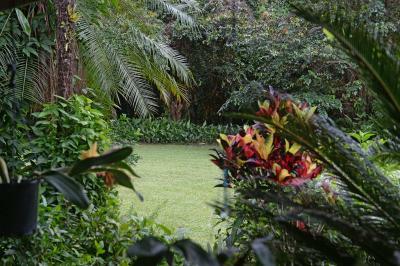 The Chantra Mission Beach B&B accepts these cards and reserves the right to temporarily hold an amount prior to arrival. Everything. So peaceful and relaxing. A few bugs in bedroom - not surprising given location. Bedroom small with limited facilities. No bedside table or light on one side. No useable table or desk for laptop. Few and inconveniently located socket outlets for charging phones, laptop etc. Built-on bathroom took a bit of getting used to for "townies" as outside A/C and screened area and no lockable access from outside. 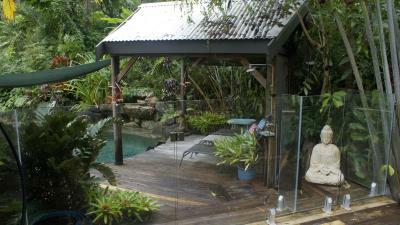 Standard for beachside rainforest location no doubt. 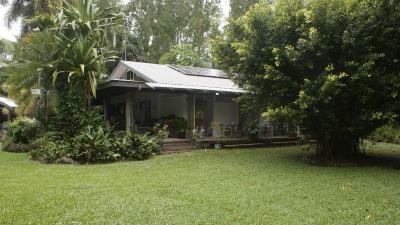 Good hosts, nice breakfast great location. Brilliant welcome. Comfortable. Lovely breakfast. 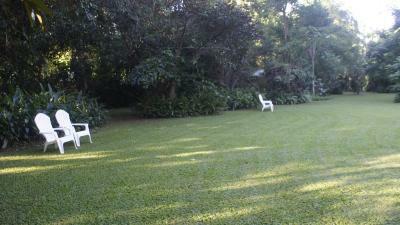 Beautiful location, stunning gardens, a wonderful & peaceful atmosphere that will ensure you’re nice & relaxed. Perfect hosts that make you feel welcom and ensure you have the best getaway while in Mission Beach, do your self a favour & book now. The Chantra was just as we expected from the excellent reviews. Beautiful setting and friendly, helpful host. 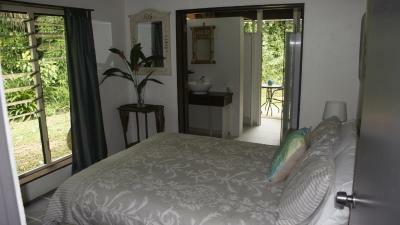 Lovely B&B close to beach & shops - a short walk to either. 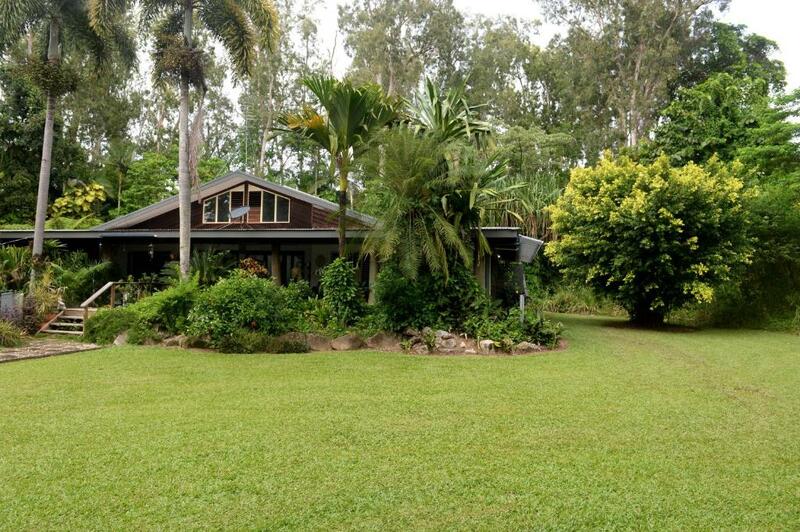 Peaceful setting with lovely gardens. Great breakfast!